Dunes of Panama great Thomas drive location for Iron Man, Bike Week, Seafood Festivals and little league events at Frank Brown Park . Many upgrade for this owner unit just now going on to the rental market must see. The Dunes of Panama has 1500+ feet of pristine white sand beach lapped by the Emerald waters of the Gulf. 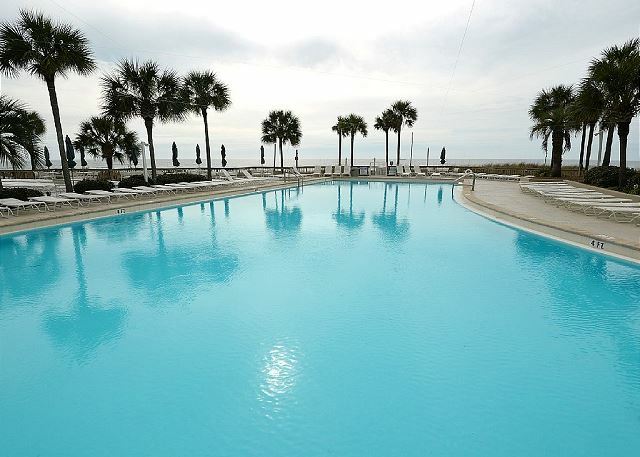 We have three pools for your convenience. 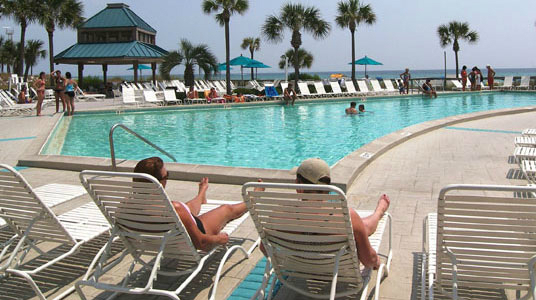 One of the gulf-front pools is usually heated from November 1st until May 1st. There are tennis courts and basket ball hoops on the north side of the "B" building. basketball, small water guns, volleyball, badminton, shuffle board, ladder ball, tennis rackets and balls, Bocce, plastic tee ball, washer toss, bats/balls, horseshoes, dodge ball, Lacrosse, soft paddle ball, sling ball, sky darts, etc. There is also a tiny tot playground on the beach. There is also a Fitness Room located in Building E. You must go to the "C" office to obtain a key. 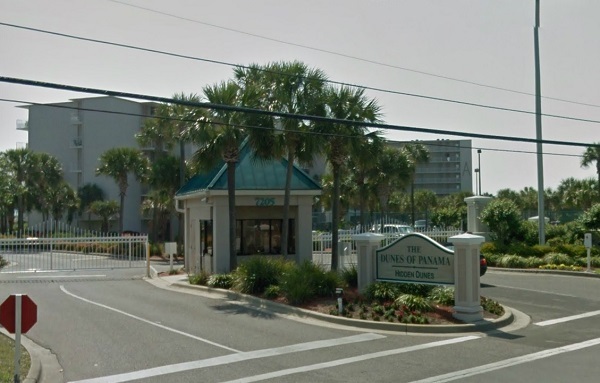 This is a gated community with on-site security. We are known as a "family friendly" condominium. Sud's Weezers Deli and Souvenir Shop is located in the "E" building (seasonal hours) for your enjoyment. They are family operated and serve deli sandwiches, pizza, ice cream, snacks, smoothies, gift and convenience items, beer and wine, and lots more - even great wine coolers. Our stay was delightful. The staff at The Dunes were wonderful. The unit was the perfect size offering plenty of privacy and great ammenities. The washer and dryer in unit was a plus. Will definitely return for a visit. 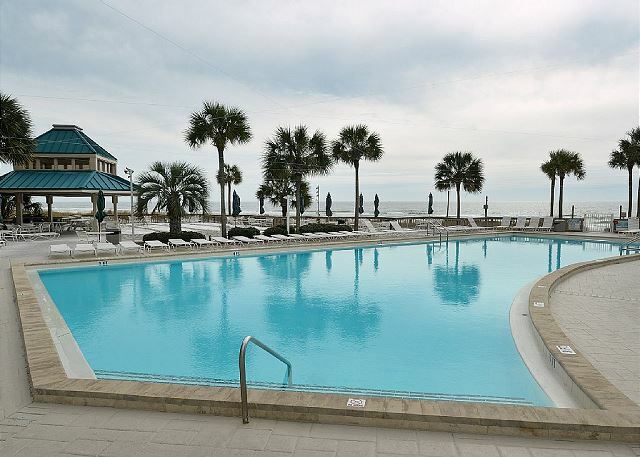 Beautiful condo and perfect location! I give this condo a 90%. The unit is wonderful in many ways. Living room sofa very comfy! Kitchen well stocked. The balcony/ furniture was excellent as well as pool and view is to die for. The unit was very nice. The view was exceptional!! We really enjoyed our stay. 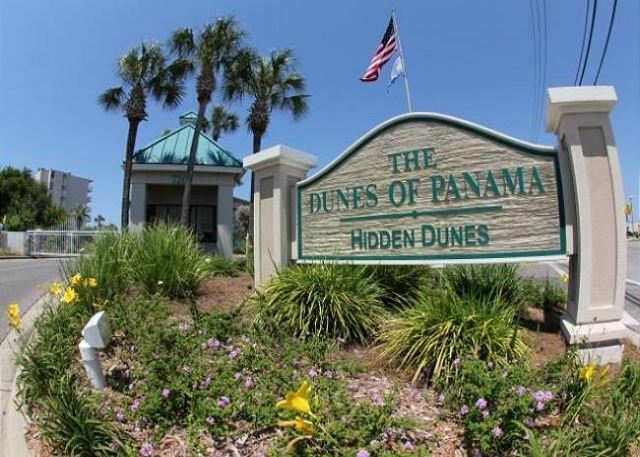 We loved our experience at Dunes of Panama D-704! Great location and nice condo. The condo was pretty clean, though there were a few areas I thought could have been a little cleaner. The beach was amazing, not too crowed - great for kids! We stayed for 4 nights and only once did we have trouble finding a parking space. 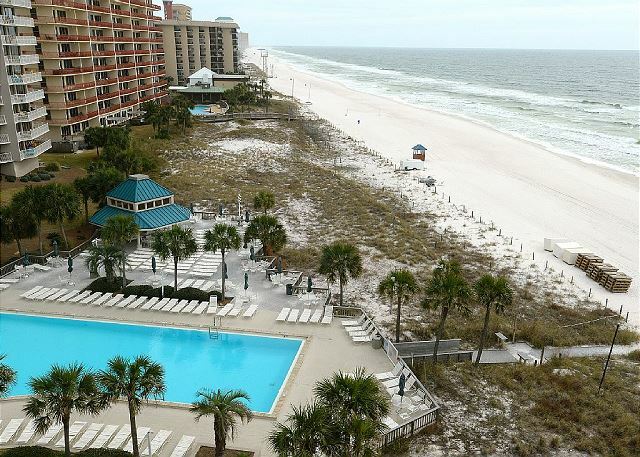 I recommend this condo for anyone wanting a great beach experience! We really enjoyed our stay at this unit over the Memorial Day weekend! It was very clean, spacious, up-to date appliances, extra pillows, blankets, bedding, etc. It was very quiet, right off the elevators but you never heard any noise from them. 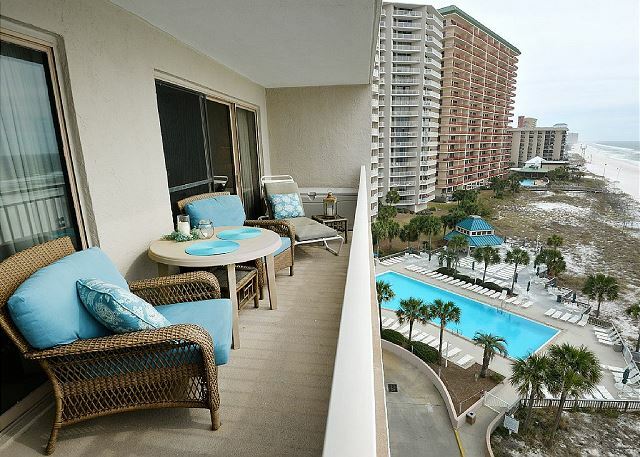 Great quick access to the beach and pool from this unit. 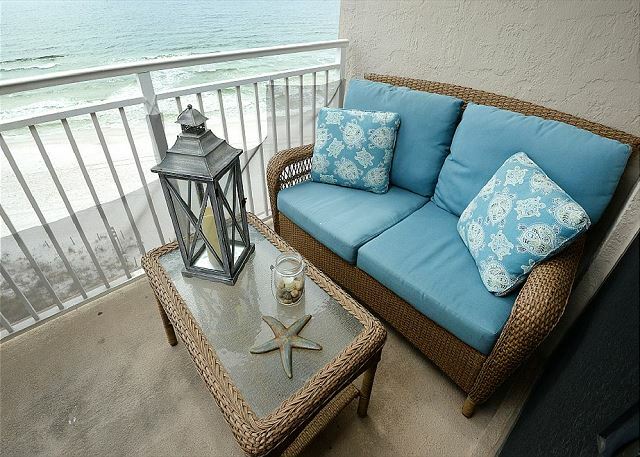 The balcony was amazing and loved that the master bedroom opened to it as well! We loved that all four of us could comfortably sit out and listen to the ocean. The patio furniture was very comfortable and really appreciated that it wasn't cheap plastic chairs and tables. The kitchen was fully stocked with anything you need to cook. We will definitely book this unit again! My only suggestion I would make to the owner is an upgraded mattress for the master bedroom. The bedroom is wonderful and spacious however the mattress was very, very hard. Almost contemplated getting a foam egg-crate for our stay after night one... If you like a firm mattress, this unit is definitely for you! However, the guest bedroom were very comfy with plush, soft beds and bedding! We have already talked about booking this unit again, with high hopes the mattress is updated. The condo was in a great location. The kitchen update was also really nice. However, the rest of the place really, really needs some love and attention. The patio furniture was in really bad shape. It was torn and the whole patio needed a thorough cleaning. The rest of it just needs updating and things fixed. We were very impressed with our condo. The room was clean and ready when we arrived. Was a perfect fit for my family with two younger girls. We loved the condos balcony and the decor. It was very warm & inviting. The master bedroom's mattress was way too hard for our comfort but other than that we were satisfied with the accommodations. 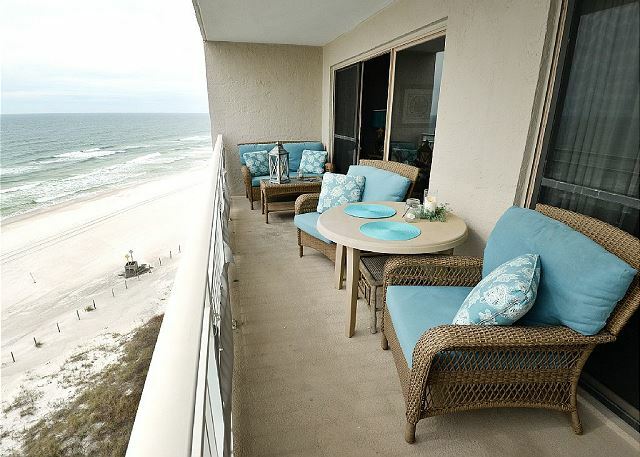 We have used 4 Star Condos several times and they have always been very friendly and helpful. The condo was very nicely decorated. The kitchen had everything I could possibly need to prepare meals. However, upon arrival it was clear to me that the condo was in need of a deep cleaning. I did a lot of cleaning while I was there but this place is seriously dirty. Drawers in the bathroom had slimy stuff in them, the pantry shelves had crumbs everywhere. I felt the need to wear shoes my whole stay because the floors were so dirty. I'm now nursing a very sore neck and back from the cardboard mattress in the master. I truly loved the location and am currently looking to buy at The Dunes. This condo is wonderful I just think I nice deep cleaning and new mattress Would make it perfect. The condo was nicely decorated and the kitchen was awesome and fully stocked. The outdoor seating area was very nice and comfortable too which made relaxing in the balcony easy. However, the masterbedroom bed was absolutely awful. I ended sleeping on the couch a couple of nights and then slept in the room with my son the rest of the time. The mattress seemed very old and very hard. The other downside to this condo is that it's not very child friendly. It's nice having a keypad so that way people can come and go as they please, but there was no deadbolt to lock from the inside or any type of chain. My almost two year old was able to open the door a few times by himself. Needless to say we rushed to Walmart and bought a baby gate to put in front of the door to keep him safe. The unit was clean to the eye but there were a lot of areas that upon deeper inspection were not taken care of properly. I did not call the Condo service though as they were not significant enough in my opinion.